Dearest Friends Album, Smash Book, Journal. This album was an absolute joy to create. It made be reflect on all of the dear friends in my life and our crazy, fun, happy times together. I hope it will do the same for you as well! 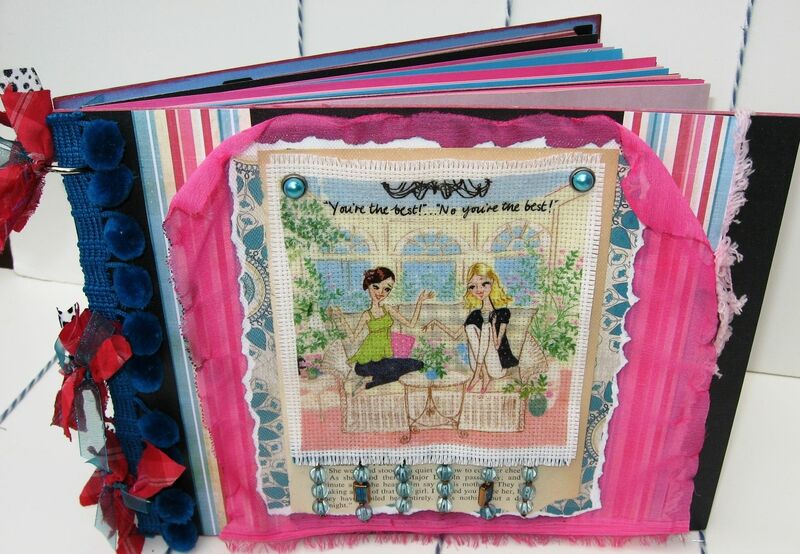 Collect your pics, ephemera, clippings, journaled thought, notes, invitations...all of the things that you treasure about your friends in this one special book. It is so pretty, keep it out in your living space to be enjoyed by everyone. A glazing technique was used to transfer the cover image onto needlepoint fabric adding sheen and texture. This particular album features turquoise pop-pom trim, glass beads, hand singed fabric, ribbon, chipboard cover pages and loads of yummy embellishments. 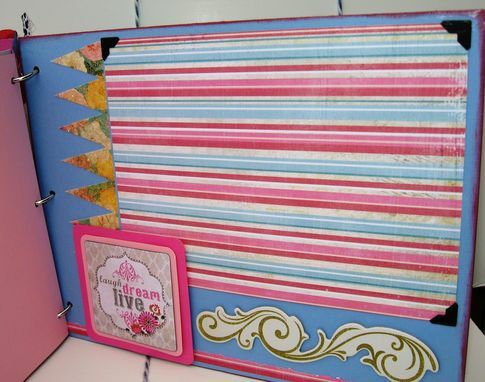 This album measures approximately 8.5"h x 11"w. It has two chipboard pages (which are the front and back covers) as well as 19 center pages (38 front and back) for journaling and photos. 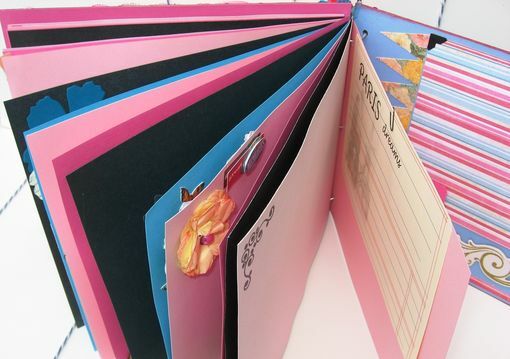 It is bound with binder rings so the pages can be moved and more pages can be easily added. I would love to create a custom album for you! Pages can be added/removed or layered to show more color. 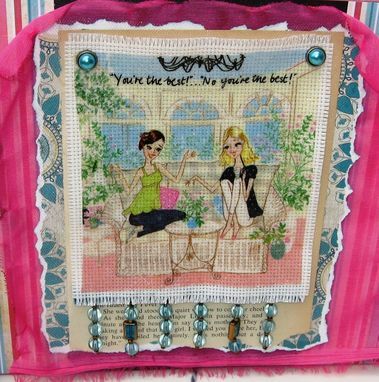 More embellishments can be added as well as specific wording, names, initials or phrases.